The Virginian is lauded as “one of the South’s most famous eateries” in Coy Barefoot’s book, The Corner. 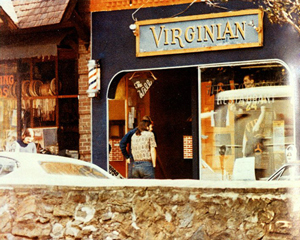 First opening its doors in 1923, The Virginian now proudly reigns as Charlottesville’s oldest restaurant. Come on by for great food and great times – enjoy the best burgers and sandwiches, fresh salads, signature crab cakes, and the famous mac ‘n cheese!